Among Brookline’s varied neighborhoods, Coolidge Corner is generally considered to be the premier location in town – in real estate terms, Brookline’s AAA location. Located at the intersection of Harvard St. and Beacon St., it is the busiest commercial district in Brookline and home to a great concentration of real estate value, mainly in the form of condominiums. What you get being in Coolidge Corner is the best selection of restaurants, shops and bars, the C line running down Beacon Street, and of course Trader Joe’s. For this you pay a premium, of course, so real estate in Coolidge Corner has the highest value per square foot of any area in Brookline. 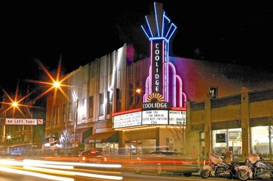 The Coolidge Corner Theatre is one of the last great non-profit theatres in the Boston area, with several screens and a major annual awards event. Also of note are the Brookline Booksmith, Zaftig’s Delicatessen and many other cherished local shops and restaurants. And, of course, being a major commercial district, you have a full complement of major chain stores from Starbucks to The Gap. Vanguard Realty has an office just down the street from Coolidge Corner in Brookline Village, located at 54 Harvard Street.